Daniel Burke is a passionate Catholic. Beyond his contagious love for Jesus and his Church, Burke is a grateful husband, father of four, and founder of the award-winning blog Catholic Spiritual Direction, the most widely read blog on the topic of authentic Catholic spirituality. He is the executive director of and writer for EWTN’s National Catholic Register and a regular co-host on Register Radio. 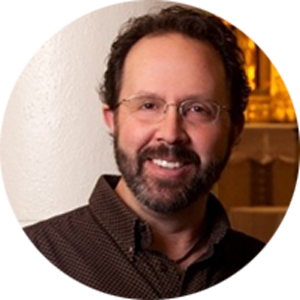 As an author and speaker, Burke provides webinars and live events to share his conversion story—a journey from Judaism through Evangelical Christianity to the Catholic Church. Burke has been featured on numerous radio programs, including EWTN’s Journey Home. Recently he founded the Avila Institute for Spiritual Formation.